Naruto Shippuden Ultimate Ninja Blazing is the latest mobile game based on the popular Naruto anime franchise. 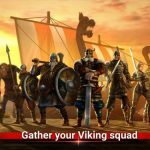 The game is available for iOS and Android mobile devices, and it allows you to take part in Shinobi Formation Battles, which is a strategic battle that can be enjoyed with intuitive controls. You can team up with your allies to unleash combo attacks on your enemies; this means their Field Skills will activate if you are close to them, thus allowing you to turn the tide in battle. Still, you should also be sure that your allies aren’t bunched that closely together. 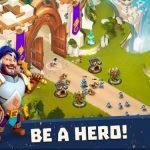 That’s just one example of strategy playing a key role in your decisions in this brand-new game. And if you’d rather play the game solo, Naruto Shippuden Ultimate Ninja Blazing also comes with its own story mode, where you can go through Naruto’s adventures and enjoy some of the anime’s famous scenes. You’ve also got the Phantom Castle, which is a MOBA-like setting where you can compete with other players for the highest score. That pretty much sums up the game, but what about playing the game itself? Do you need some help in those Shinobi Formation Battles? Need something to help you sharpen your battle tactics? 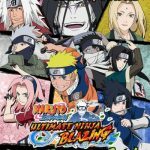 You need not look any further for assistance, as we have just completed this Naruto Shippuden Ultimate Ninja Blazing strategy guide for your one-stop reference on the game. Below the enemies, you will notice attack timers that will show you how many turns they have left before they attack. Take a good look at those timers, and act accordingly; for example, you may want to stay back and not charge forward if you see an enemy with one turn remaining. This would be doubly true if that enemy has companion nearby to provide a helpful assist. Look at the timers and don’t make moves toward anyone who is all poised to attack in the next turn. Working off the above tip, you want to make sure that you have positioned your characters properly. Here’s a simple example to consider – if enemies are about to attack you, stand your ground. This is just as we explained in the above tip, but to expound on that, you should stay there and somehow lure the enemies toward you, but one at a time so you don’t get double- or triple-teamed by multiple bad guys. And since that means avoiding enemy combo attacks, you might want to string together a combo of your own by positioning yourself next to your allies. Also, to jog your memory on what we said in the overview, avoid bunching your heroes so closely to each other, as that’s going to make them an easy target for your enemies, which is something you definitely want to avoid. Field Skills are something each of your heroes possess, and they get activated when characters link to each other. As the overview had told you above, using those Field Skills the right way can turn the tide and change the game. But that doesn’t just apply to you; it also applies to your enemies, who can use them as well. Before confirming an attack, look at the text that’s floating above your team members and your enemies. That’s going to give you a glance of what’s going to happen in the attack, and that includes briefing you on the enemy’s counter abilities. If you want to make the most out of your team and deal out the most possible damage, you’ll want to check your lineup and be sure that you’ve represented as many elements as possible. The game gives you five slots for your team of heroes, and since there are five elements, that matches up perfectly with the number of slots. It’s important that you have all those elements represented in the game, as you’ll be encountering enemies that may have different elements, enemies you can be strong against if you choose the right one. 5. Why Should You Add More Friends? The game has a story mode that doesn’t rely heavily on the social element of the game. But there is a good reason for you to get social in this game, and that good reason is the ability to use the Friend Summon. Before we get to that, here’s what you can do when it comes to summoning heroes. You can spend 30 ninja pearls, which are the game’s premium currency, to call upon a new character. But since it isn’t always very frugal to spend premium currency on a character summon, you can spend 100 or 1,000 friend points instead to launch a Friend Summon. The latte option will only assure you of characters with three-star rarity tops, while the Running Start has the potential of giving you some five-star rarity characters. While the three-star heroes you’ll get with the Friend Summon don’t sound like much, it is important that you add as many friends as possible so you can get more Friend Points. Also think about it this way – if you use people on your friends list as your allies, you can get more Friend Points. For the meantime, the game is new and doesn’t really have too many alternatives for those who want to get more Ninja Pearls for summons. So keep on adding friends, and unleash those Friend Summons whenever you can. If the above reason wasn’t enough to convince you to get social and add more friends, this other reason might. When playing in story mode, you can do it on your own, but you will also encounter some levels that are just too troublesome to complete on your own. Bearing that in mind, you might want to play those levels with your allies. Round up the friends on your list and take note that all levels in story mode can be played in single-player or multiplayer modes. The rules are essentially the same whether you’re playing by yourself or playing with allies. Combos are launched the same way, for instance, but the difference here is that your two other hero companions are controlled by humans, and not by AI. Be sure that you’re all on the same page, and try your best to win the battle. You just might luck out and get ninja pearls, though that’s a rather rare occurrence that you shouldn’t always be counting on.